So you can wear open-toe footwear more often! 1. Treat yourself to a foot bath. The skin on your feet is bound to get rough and dry, especially if you wear closed shoes and tight footwear. A foot bath can help soften roughened skin, preventing further hardening and darkening. If you're suffering from blisters, soak your feet in a bath of warm water mixed with essential oils and a few drops of olive oil for 10 to 15 minutes. Using a pumice stone or a foot file can help prevent the formation of calluses. It's best to exfoliate after a foot bath while the skin is still soft, since it's easier to scrub the surface clean. It's advisable to opt for flats every once in a while. Doing so lessens the possibility of developing varicose veins, which happen when you wear heels every day (they force your feet into an unnatural arc). 4. Keep your feet dry. Bacteria and fungus thrive in damp environments, so make sure to pat your feet dry before squeezing them into enclosed footwear. 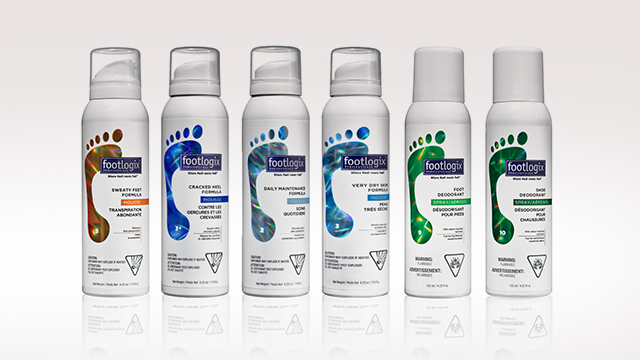 Antifungal products such as powders, lacquers, or sprays can help protect your feet from bacterial and fungal growth. 5. Use quality foot products. Beyond foot baths and scrubs, using quality products is the best way to take care of your feet. Footlogix offers pharmaceutical-grade ingredients with Dermal Infusion Technology®, which go deep into the skin for faster and more effective results. Whether it's a callus softener you need, an exfoliant scrub, a moisturizer for dry skin, a foot-soak concentrate, or a massage formula, you'll know that your feet are getting the TLC they deserve. To learn more about Footlogix, click here. This article was created by Summit StoryLabs in partnership with Footlogix.